Tesla changed its answer for how many electric cars it expects to deliver this year, sending its stock price down more than 6% Wednesday afternoon. In March the company said it planned to deliver 55,000 cars in 2015. But its latest report revised that estimate to "between 50,000 and 55,000" cars. Tesla also lost more money than expected. With high operating expenses and huge investments in facilities, the company lost $184 million this quarter. 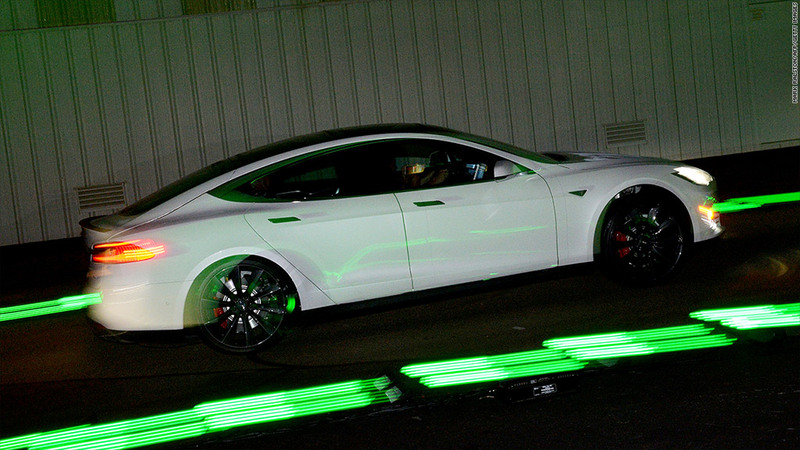 Wall Street expected Tesla to be only $126 million in the red. Tesla (TSLA)'s pricey and often volatile stock has been climbing since April and is trading around $266 per share. Even with the price dip on Wednesday and UBS's "sell" rating last month, it's up more than 20% year-to-date. The company has spent hundreds of millions on new production facilities and gearing up for production of the Model X. The company expects costs to climb another 5% to 10% over the next three months. Investors will be looking sales of the Model X, an electric SUV, to offset some of those costs. The car is expected to be released in September. The Model S became the best-selling electric car in the U.S., the company said, after it introduced new versions that improve the vehicle's performance and range. The newer Model S 70 retails for $70,000 compared to earlier versions that retailed at $100,000.